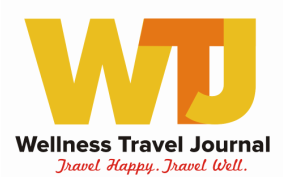 The Wellness Travel Journal is proud to useful, well-researched content to readers. Camille Hoheb, Editor of WTJ only recommends products that she likes and believes in. As an influencer, Camille Hoheb is often invited to try and sample new products and services in exchange for her honest opinions and she may promote, affiliate with other busineses and individuals whos products, services and products align with hers. The Wellness Travel Journal is highly selective in its content and Camille may receive compensation or other rewards from sharing, promoting or selling other products and services. As a reader, you must use your own judgement to determine if a product or service is appropriate for you. You assume all risks and agree that Camille Hoheb and the Wellness Travel Journal is not liable in any way for any product or service featured on her website. Camille may decide to participate in the Amazon Services LLC Associates Program, an affiliate advertising program designed to provide a means for sites to earn advertising fees by advertising and linking to Amazon.com and affiliated sites. This means that if you buy certain products from Amazon through links provided on this website , we may receive a commission on the sale. Please don’t hesitate to reach out to us with questions.